For some reason, I don't know why, I equate the delicious taste of Pineapple Cake with Spring... it goes so well with my traditional Easter Ham Dinner. Many years ago I misplaced the recipe that was my favorite. Someday it will turn up, I'm sure. (Most likely after I die and my daughters are sorting through all my stuff.) I've tried to duplicate it from my memory year after year, but it is never quite the same as I remembered... until this year. I think I finally got it right. Here's what I served yesterday. It actually received the Lick the Plate award from my Honeyman. When that happens... I know it's good. Reserve 1/3 cup pineapple juice for frosting. Cream the butter until smooth. Add the eggs. Beat until well blended. Add the dry cake mix and the juice/milk alternately until well mixed. Pour into a 9x13 baking dish. Bake in a preheated oven at 350° for 35 to 40 minutes. The cake is done when an inserted toothpick comes out clean. Allow the cake to cool before frosting. So moist and delicious! 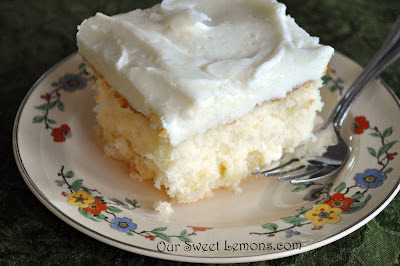 The taste of pineapple in both the cake and the frosting is sooo yum! Combine butter, juice and granulated sugar in a saucepan. Bring to a boil. Boil for 3 minutes. Beat in the cream cheese. Gradually add the powdered sugar until it reaches a good spreading consistency. When the cake is cooled, spread the frosting. Then enjoy! Most often I prefer baking from scratch. But I love the fact this recipe has a cake mix... it makes it a breeze to whip up. Besides, the taste and moist texture is undeniably delicious! Up next from Our Sweet Lemons... Boullion! What kind do I have in my Pantry? Looks delicious!! Question: what size can of pineapple is used? One 20 ounce can drained crushed pineapple. Enjoy! Sounds delicious!!! Can this be made as a layer cake? I don't know, but I am giving it a try today. I'll post the results tomorrow. how did it do as a layer cake? Is the buttee sugar mixture to go over the cake before frosted or to be mixed in with the cream cheese. I didnt see where to add it. Found your recipe on pintrest. Looks yummy! I made this tonight and it was good but my kids thought the frosting was way too rich and sweet. They prefer a lighter frosting. So I think if I had made fresh whipped cream icing with some crushed pineapple folded in it would have been alot less rich. But the cake itself was moist and delish. I made this yesterday and it was absolutely AMAZING!!! My new favorite cake, even better on day 2! Thank you so much for creating Heaven on Earth! Do you butter and flour the pan? Did you use alluminum or glass pan? I made this for my family and loved it so much I'm making it for a friend. Do you refrigerate it because of the cream cheese? In juice or sweetened pineapple? The directions to cream the butter with the eggs was not easy at all!! I threw it in the blender, then poured it into the dry cake mix. It worked much better. Next time I will melt and cool the butter a bit before mixing. I also added organic shaved coconut in the batter too. I didn't have powdered sugar, but uses softened butter, softened cream cheese, vanilla extract, 3 Tbsp. pineapple juice, and BROWN SUGAR!! I used this frosting before with apple cider and apple pie spice before, with a recipe for an apple cider pound cake. It is an amazing creamy frosting that compliments a pineapple cake!! This cake is Soooooo YUMMY !!! If you like pineapple ...you will Love this one ! Fold cream or topping into pineapple/pudding mixture. This is so nice & light & Not Too Sweet !!! It's Wonderful on this cake !!! I made a buttercream frosting with pineapple. 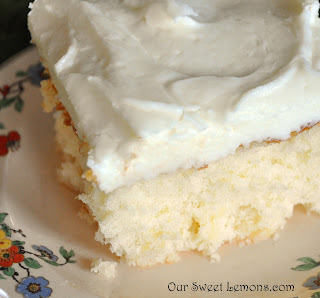 I tried the original frosting and was so glad I tasted it before I put it on the cake. Too sweet and just not tasty. Excellent recipe. Thank you. Light, fluffy and delicious. Everyone loved it. I did not make this frosting. Used whipped cream with pudding and pineapple instead. Delicious comments are always welcome. We're a Mother and her grown-up Daughters living in different states but always wondering the same question... "What are we gonna fix for dinner?" 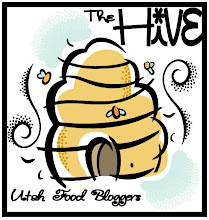 Here we share what's cookin' as we try to keep the kiddos fed and the hubs happy. Be sure to visit About Us to get the inside scoop on who we really are. *We have a new Contributor! Kara, my grand-daughter has joined in the fun!